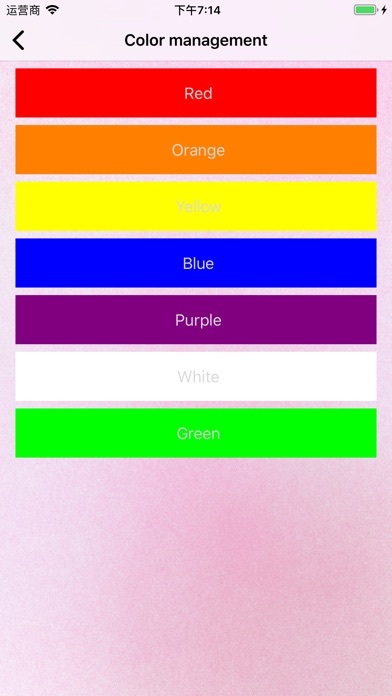 This is an app that helps you learn colors. 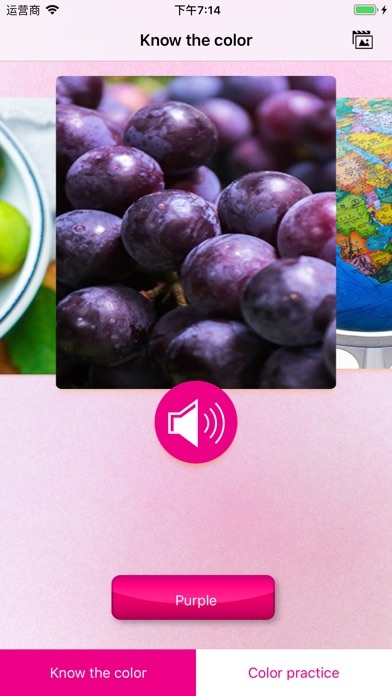 You can remember the colors by clicking on the pronunciation and viewing the images, and you can also record your photos by color classification. 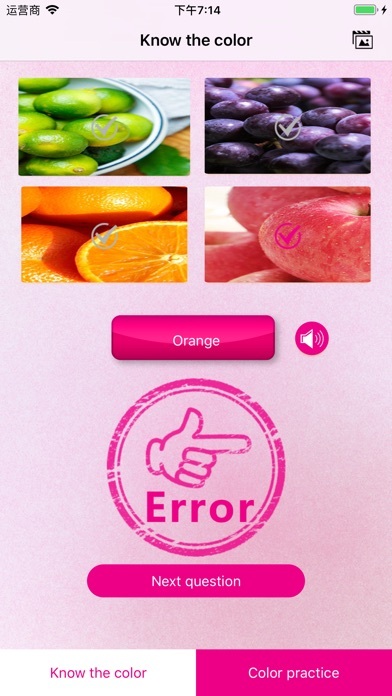 It also has a more interesting feature, you can use color practice to train your ability to know the color, choose the correct color through the pronunciation, the bottom of the screen will prompt you whether it is correct, just click on the next question to start again. 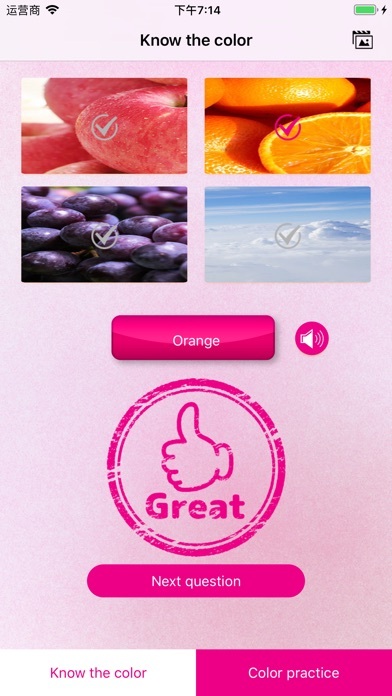 Come and try it!